Steve Smith's biography "We're All In This Together"
Let's get sort of somewhat serious for a minute or two. 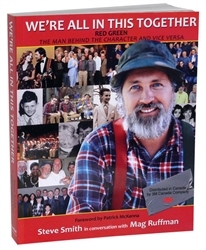 This is the true life story of the guy who is Red Green in more ways than one, which you'll see when you read this book. From the early days in Toronto, Canada, through the lackluster batch of non-descript careers that led him to his most successful failure to date - The Red Green Show. 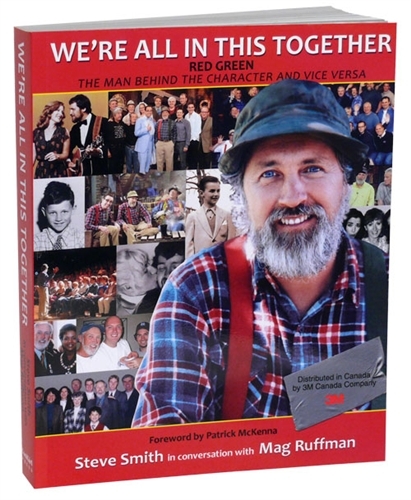 Loaded with personal pictures and stories this is all the background information you'd ever need to explain how a show like Red Green could happen.